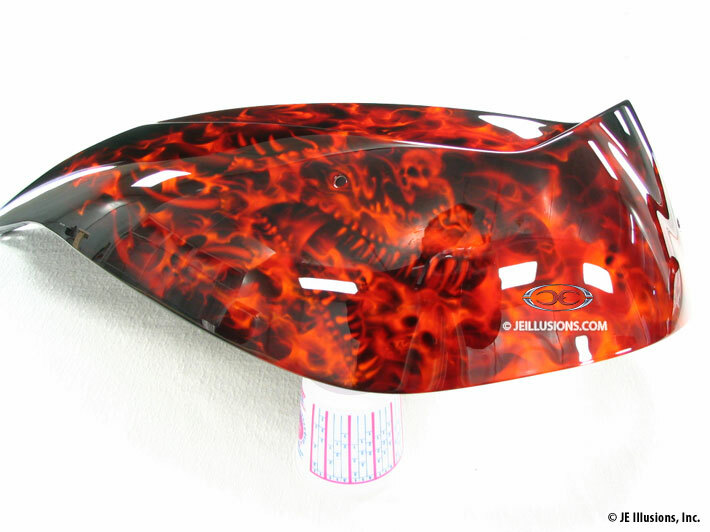 This set takes our realistic flames to the next level. 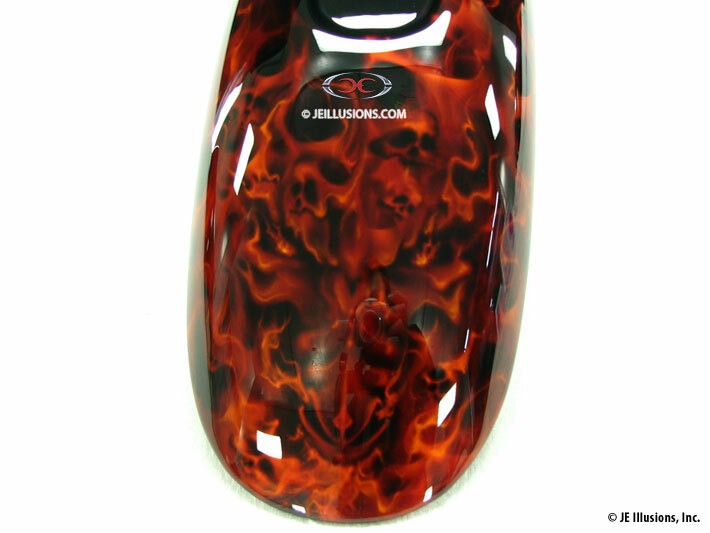 The parts began with a true jet black base followed by layers of airbrushed flame work and dusted with our signature kandy colors to create the realistic fire. 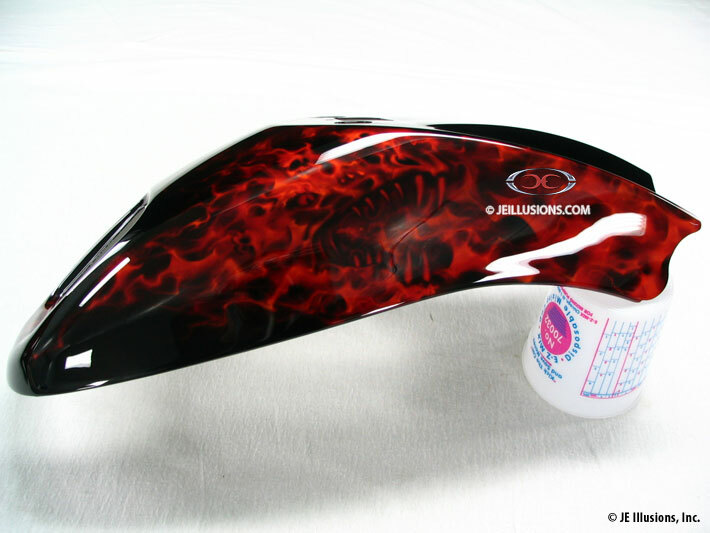 The fire then shapeshifts into a dragon mural complete with LED eyes on the back fender. 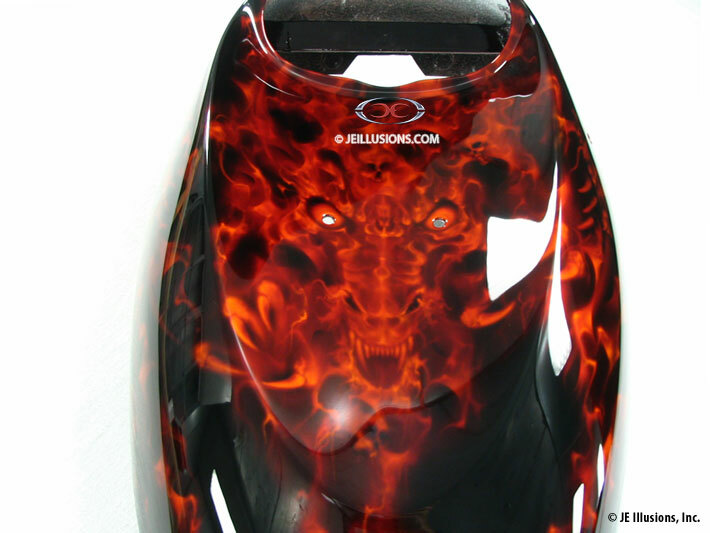 Dragon heads and skulls can be found throughout the design.